A commuter ferry and a boat full of Hongkong Electric Co. employees collided Monday night around 8:30pm. The Hongkong Electric boat, Lamma IV, was carrying 120 passengers on their way back from a tour of a power facility and were about to take in a fireworks display in Victoria Harbor. 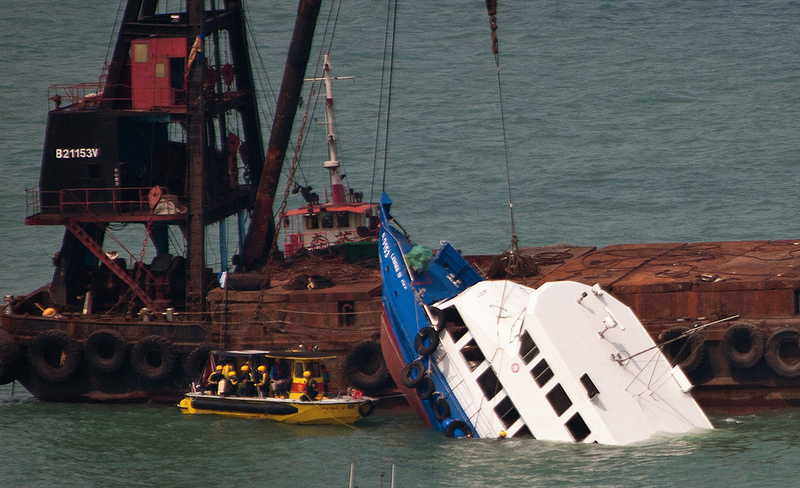 The ferry, Sea Smooth, collided with the Lamma IV’s stern and caused the Lamma IV to sink quickly by the stern, stranding dozens of passengers below deck. So far 38 people have been declared dead of the 120 aboard while only minor wounds were suffered by the Sea Smooth‘s passengers and crew. 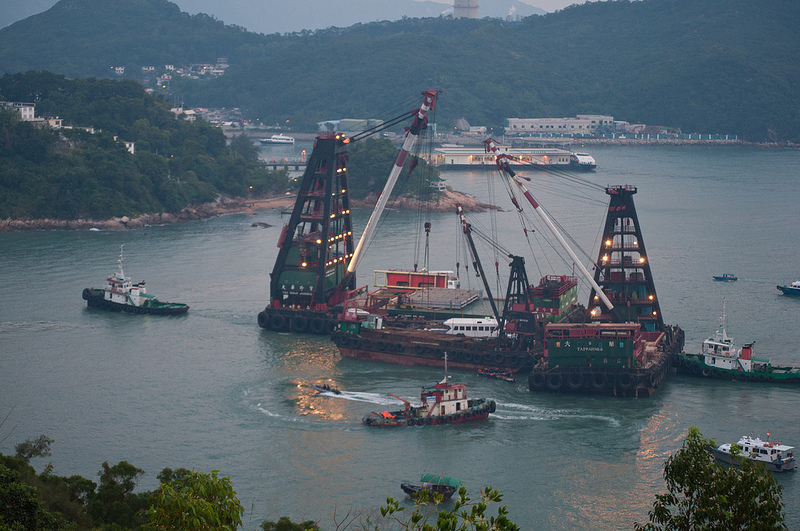 Authorities have towed the Lamma IV to a nearby beach and discovered a large hole on the port side of the vessel’s stern. Both captains and several of the crew from each vessel have been arrested and released on bail. Hongkong Electric has already pledged to pay $25,800 to each victim’s family. The exact cause and responsibility for the wreck has yet to be determined.